Bus Details & Time: Buses will be leaving from the Lakeshore Campus Residence at 4:30 pm and from the North Campus Residence at 5:00 pm. We will be leaving from the Banquet Hall at 10:30 pm and will return to both campuses. Cost: Only $20/person (includes your transportation and dinner plus prizes and a personal meeting with Santa!). 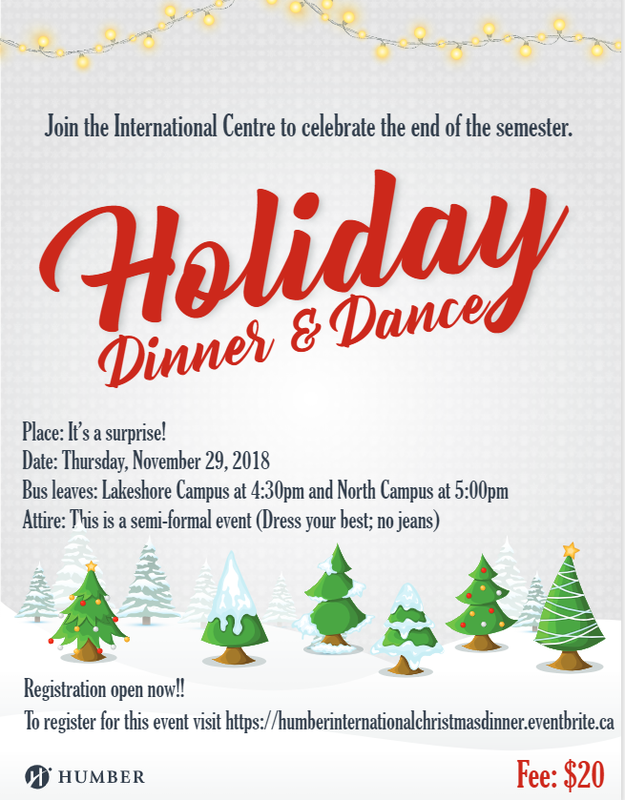 Details: Join in the fun as Humber International celebrates the holiday season.Great food, dancing, and if we are lucky a visit from the legends Mr. and Mrs. Santa Claus. Attire: This is a semi-formal event so we encourage everyone to dress as they would for a wedding back home or here in Canada. If you have any questions please don’t hesitate to contact the International Centre at your campus [North, 2nd floor of the LRC, Lakeshore in H100]. The Humber International Centre is on Snapchat! How to Confirm you Offer? 2 Common Examples of Plagiarism – Have You Done These By Mistake? Study Permit Essentials - Updated! 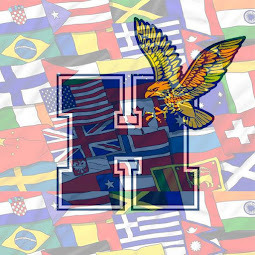 Come To Canada Study at Humber!. Picture Window theme. Powered by Blogger.